The instant we hear the term 'glam life' our minds start to roll. One may think of a woman having an opulent and luxurious life jet setting from one country to another, attending events that the masses would die to be invited to. Another scenario would be the "IT Girls" of the Metro filling their social pages with all the expensive clothes and gifts that they have been receiving. For short, it's all about the exclusivity and the price tag attached to this kind of lifestyle. But a new way of having the 'glam life' is emerging. Vulgarity of spending is now considered passe and downright cheap. There is now a new definition of living the 'glam life'. Now? It's all about the exuding of subtle wealth, class and poise of a person. 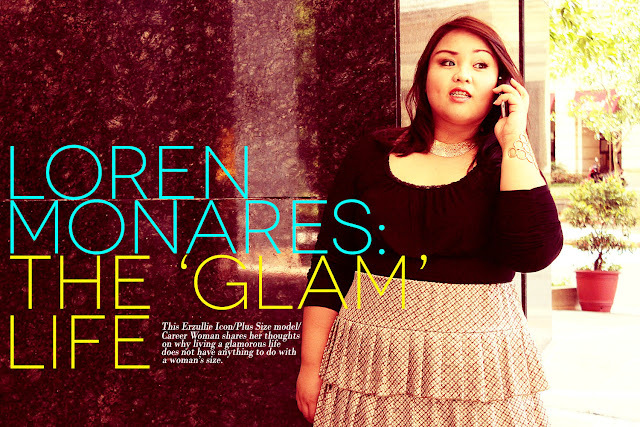 An example of which, is Erzullie Icon and Plus Size Model, Loren Monares. This woman has been an Erzullie model since 2011 but officially became an Erzullie Icon when she modeled for the Resort 2012 collection. Since then, this plus size model has been unstoppable and has been given opportunities to model for various plus size fashion lines/website and even appeared on TV as a plus size model, all of this while maintaining her day job that she is passionate for. So how can a plus size woman. who is part of a high end company and a plus size model in a unforgiving fashion industry, have a glam life? 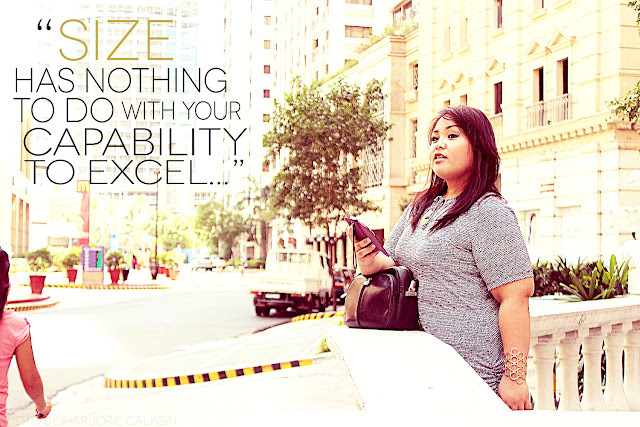 Erzullie Icon and Plus Size Model, Loren Monares, opens up in this Erzullie Icon interview. 1. For you, what does “Glamour” mean? Glamour means beauty driven by inner positivity. 2. With that in mind, what do you think is the meaning of a woman living a glamorous life? I believe that it’s having a life that has a positive outlook to keep you going. No matter how big the obstacle is, you know you'll be able to conquer it. A woman becomes glamorous when she reflects her beautiful qualities and good heart. 3. Do you think that you are living a glamorous life right now? Also, you work in a high profile company and a part time model modelling for different plus size fashion lines/websites and even appeared on TV. How do you do it? I feel fortunate that all these opportunities came into place for me. I spend my weekdays at the office while weekends for my plus size modeling engagements and other stuff I love doing. At the end of the day, I think what's important is you have the passion on what you are doing because no matter how much it eats up your time, it never feels stressful! 4. Having all these activities in a week seems a little stressful, where do you get the strength to keep up? I'm blessed to have a very strong support system. My family and friends are the people who keep on reminding me and believing in me and in what I can do. 5. Here’s a big question, in this form of lifestyle (living a glamorous life), have you ever been asked to lose or gain weight in order to get a job? Not at all. In fact, size has nothing to do with your capability to excel in whatever field you are into. I'm happy to see that our society's outlook has changed and is really embracing the beauty and qualities of plus size women. Indeed, people have become more open to diversity and this is something that I am so thankful. It's also a work in progress so it's important to grab the opportunities to be able to spread the growth and development of plus size fashion. Because for me, being a plus size model is not just about doing photo shoots and fashion shows. It is also about having that responsibility of influencing other plus size women to accept and love themselves. Having said that, there is a conscious effort from my end to constantly spread that advocacy by sharing my journey and encouraging plus size women to excel in their respective fields. 6. Finally, what’s your advice to other plus size women who are also having/aiming for the said lifestyle? I think, having this kind of lifestyle, should start by accepting and loving yourself. Next would be identifying your skills and passion. From there, build your goals in life. Most importantly, be able to touch others' lives. 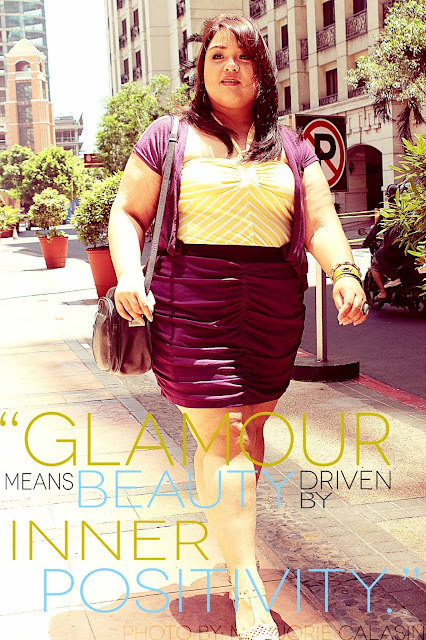 Remember, having a glamorous life doesn’t have anything to do with size or shape. It’s all about your beauty being driven by your inner positivity!